For the first time, an appellate court in Central Ohio addressed whether evidence from an Intoxilyzer 8000 is admissible in an O.V.I./D.U.I. trial. 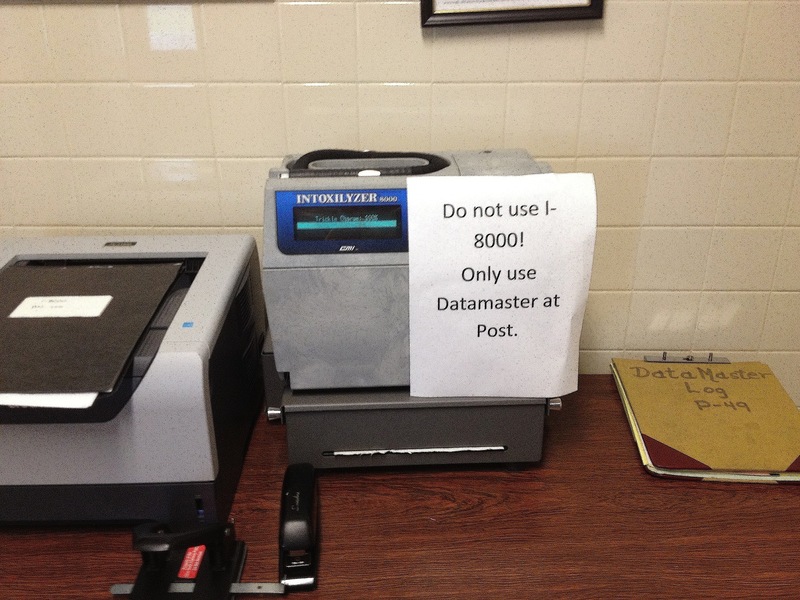 The court of appeals ultimately decided that the defendant is prohibited from challenging the general reliability of the Intoxilyzer 8000, so the results of that machine’s breath tests are admissible. The court’s opinion, however, contained language questioning whether that prohibition should continue to be the law in Ohio O.V.I. cases. The case is State v. Reid. A previous post in this blog (June 11, 2011) discussed the ruling of the trial court. The trial judge concluded that breath test results from the Intoxilyzer 8000 are not reliable enough to be admitted as evidence. The trial judge wrote, “Having heard the testimony presented in the above cases, the court finds that the Intoxilyzer 8000 has not been demonstrated by expert testimony by the Ohio Department of Health to be an accurate and reliable instrument for breath testing in O.V.I. cases.” Because the breath test result was not reliable, the judge excluded breath test evidence from the defendant’s trial. Without the breath test evidence, the defendant took the case to trial and was found not guilty. The prosecution appealed the trial judge’s decision to the Fourth District Court of Appeals. The Court of Appeals issued a decision on February 7, 2013. In its decision, the Court concluded that the trial judge erred by excluding the breath test evidence. The Court based its conclusion on the Ohio Supreme Court case State v. Vega (for an analysis of the Vega case, see the post in this blog on May 3, 2010). The Vega case said the defendant in an Ohio O.V.I./D.U.I. case may not “make a general attack upon the reliability and validity of the breath testing instrument”. The Vega court reasoned that Ohio has “legislatively resolved the questions of reliability and relevancy of intoxilyzer tests”. Based on the principle of stare decisis, The Fourth District Court of Appeals followed the Vega precedent and concluded that, “Based upon the current state of the law, we do not believe that Vega permits a defendant to mount a general reliability challenge to the Intoxilyzer 8000, an instrument that the ODH has approved for use in these circumstances.” Accordingly, the Fourth District held that the breath test evidence from the Intoxilyzer 8000 was admissible and had been erroneously excluded. I hope the Fourth District is correct that “the Ohio Supreme Court may decide to reconsider Vega in light of subsequent changes in the legal landscape”. The Vega Court did not hear any evidence regarding the scientific accuracy and precision of breath-testing machines but nevertheless decided the case as if breath-testing machines are essentially perfect. Since that decision in 1984, Ohio courts have followed Vega despite growing awareness that the machines are not perfect. Hopefully soon we can stop pretending.